If you are being investigated by the Division of Child Protection and Permanency (“DCP&P”), formerly known as the Division of Youth and Family Services (“DYFS”) in Monmouth County, if DCP&P took custody of your children and filed a complaint against you in Monmouth County Family Court, or if you have already been substantiated for abuse or neglect and you want to appeal the investigative finding, the experienced DYFS defense attorneys at the Tormey Law Firm in Monmouth County are ready to help you. DCP&P has two local offices in Monmouth County: the Monmouth North Local Office in West Long Branch and the Monmouth South Local Office in Asbury Park. 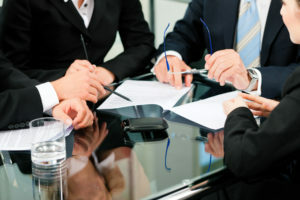 No matter which Division local office is involved with your family, it is important to have an experienced DCP&P attorney represent you at every stage of DCP&P involvement including investigations, litigation, and appeals to ensure that your rights are being protected and that the Division is not intruding too far into your family’s life. If you live in Monmouth County and DCP&P is involved with your family, the Monmouth County DCP&P defense attorneys at the Tormey Law Firm are ready to fight to get the Division out of your family’s life as quickly as possible including in Middletown, Howell, Freehold, Asbury Park, and Long Branch. Contact our offices now for immediate assistance at (908)-356-6900. The initial consultation is always provided at absolutely no cost to you. DCP&P cases and hearings in Monmouth County will be heard at the Monmouth County Superior Court. The Monmouth County Superior Court is located at 71 Monument Park, Freehold NJ, 07728, is open from 8:30 a.m. to 4:30 p.m. and can be contacted at 732-677-4300. Click here for more information regarding the Monmouth County Superior Court. For directions to the Monmouth County Superior Court, click here. Child welfare, abuse, neglect, and guardianship cases in Monmouth County will be handled by a Judge who sits in the Family Part of the Chancery Division of the Monmouth County Superior Court. The Presiding Judge of the Monmouth County Family Part is the Honorable Kathleen A. Sheedy, P.J.Fp., whose chambers can be contacted at 732-677-4131. The Monmouth County Family Part also has a Children in Court unit with court staff dedicated to DCP&P cases. The Children in Court team can be contacted at 732-677-4310. Click here for more information on the Monmouth County Family Court Family Division. There are two DCP&P Local Offices in Monmouth County: the Monmouth North Local Office, Monmouth Park Corporate Center 1, 185 Route 36 West, Building E, West Long Branch, NJ 07764, phone: 732-571-2190; and the Monmouth South Local Office, 630 Bangs Avenue, Asbury Park, NJ 07712, phone: 732-897-6300. Click on the following link for more information on the DCP&P local offices in Monmouth County. Getting help now may be the key to getting DCP&P out of your family’s life as soon as possible. Whether the Division is involved with your family because of allegations of substance abuse, inadequate supervision, or physical discipline, there are many resources and family support services including counseling, therapy, and parenting education available to parents in Monmouth County. The two family success centers in Monmouth County are: The Coastal Communities Family Success Center, 300 Broadway Rear Entrance Long Branch, NJ 07740, phone: 732-571-1670; and the Bayshore Family Success Center, Henry Hudson Trail Activity Center, 945 Route 36 Leonardo, NJ 07737, phone: 732-241-7098. In addition to the family success centers in Monmouth County, the New Jersey Parent Link has valuable information for parents regarding health and wellness, developmental and behavioral health, parenting education and family support services. For parents in Monmouth County that need alcohol or drug treatment services, programs are available through the Prevention Coalition of Monmouth County, 1405 Highway 35 North, Ocean, NJ 07712, phone: 732-663-1800. In addition to the substance abuse services in Monmouth County, the New Jersey Prevention Network focuses on providing substance abuse and addiction services throughout the State of New Jersey. If you need immediate help for a substance abuse issue, you can dial the confidential Addictions Hotline 24/7 at 1-844-276-2777 which provides information and referrals to substance abuse treatment agencies statewide.